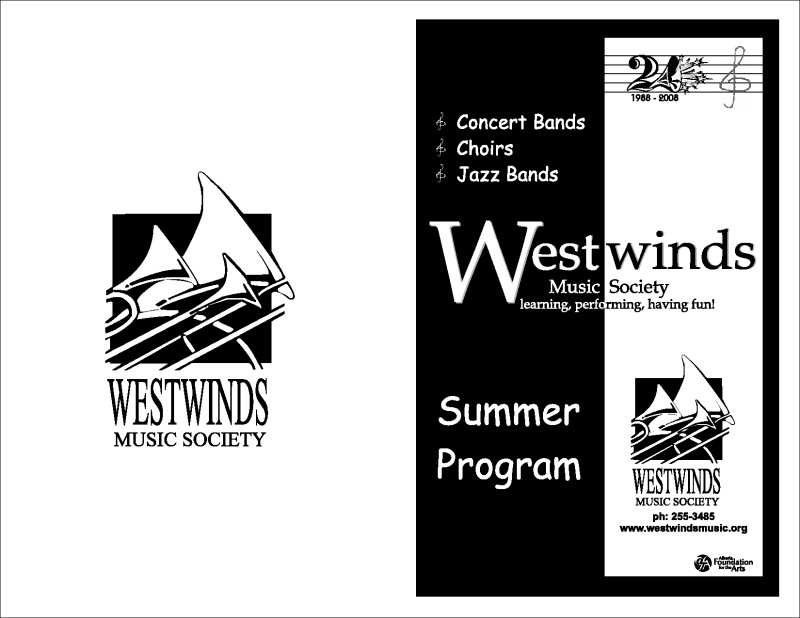 As the Cochrane Music Society ensembles prepare for their Celebration of Music concert and the Big Band Dance to end the season, many realize that despite best intentions, they likely will close their music folders and instrument cases until next September. 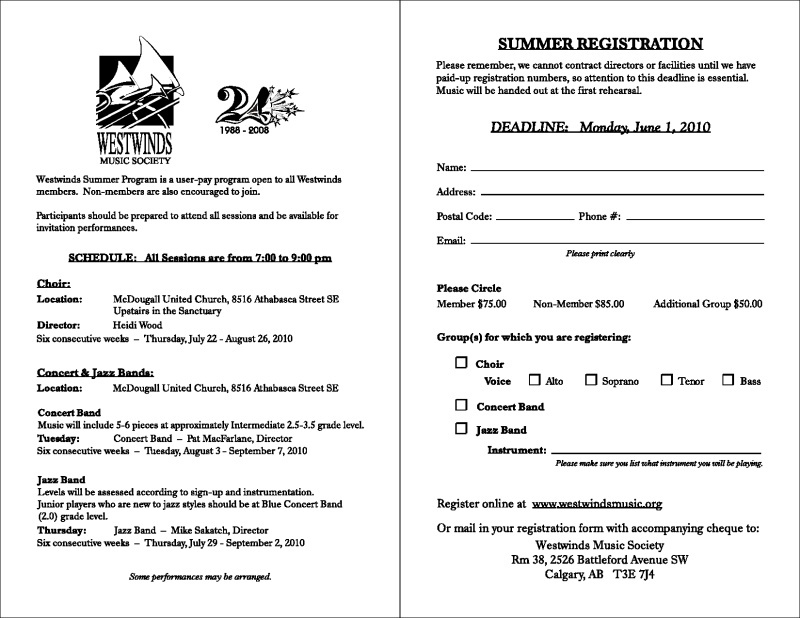 The best way to continue singing and playing through the summer is to register for an ongoing summer program. 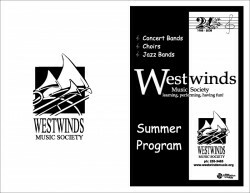 Westwinds Music Society offers a great summer program for choir, concert band and jazz band! REGISTER NOW! 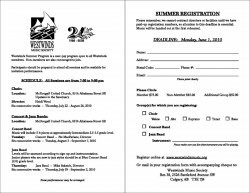 The registration deadline is June 1st and Westwinds will only run the programs if there are sufficient participants as of that date.